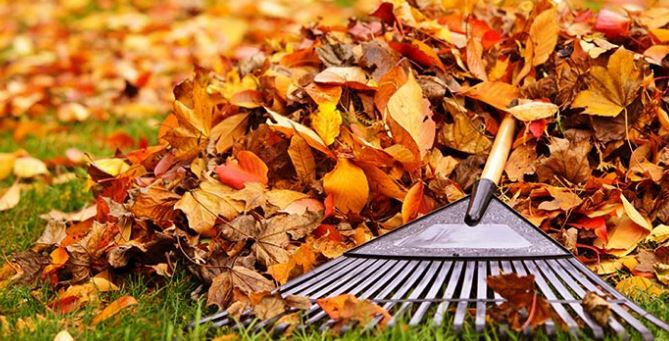 Fall is a good time to take care of home repair projects before shorter days, rain and, in some areas, snow, make outdoor work too difficult. Here are 7 projects worth starting this fall. 1. Check and clean the gutters. Wait until the majority of leaves have fallen before the rains arrive. Check that they are cleared well enough to carry away rain water. Remove everything, from twigs to leaves to caked-on dirt. Getting moisture away from the foundation is key. To direct the flow of water away from your home and foundation check that the downpipes are clear of obstruction. Fall is the perfect time to tidy up your garage or shed. Start by disposing of any liquids that might freeze, as well as unneeded flammable or hazardous materials. Clean, organize and put away your tools and equipment. Move what you won’t be needing, the lawn-mower, hedge trimmer, rakes and summer toys, to the back and make room for your car so that you can safely pull it in during wintry weather. How does your roof look? From the outside look for signs of worn, loose or missing shingles and shingles with mold or rot on them. If your roof leaked last winter, be sure to repair the leaks before the rains arrive again and water starts dripping on your head in the middle of a November downpour. Don’t wait until winter to call a roofing contractor. If you wait until the rains come, roofers are likely to be much busier and more expensive. 4. Care for trees, shrubs and your yard. Cold weather is often accompanied by strong winds, and the last thing you need is a tree crashing down on your house or car. Prune long tree branches hanging near your home, roof, or gutters to avoid falling limbs in winter storms. Rake leaves. 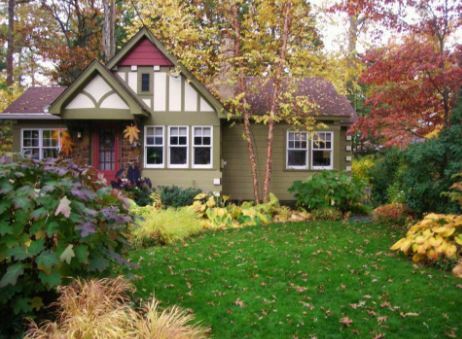 Leaving too many leaves on a lawn over winter in a snowy area can slow spring growth. The more the leaves pile up and begin to break down, the more difficult they’ll be to clear away. Finally, drain your garden hoses and disconnect them from the outdoor spigots. Store them in a dry place to prevent freezing or cracking. Be sure to winterize your outdoor faucets and irrigation systems. Rent a dumpster to remove garden trimmings and share the cost with your neighbors. Check the siding for cracks and damage to prevent rain and cold coming into your home. Check cutouts where electrical conduits and pipes enter through the siding and the perimeter of window and door frames. Repair small holes with clear caulking compound or paintable caulk and patch large holes with new siding material.Touch up the exterior paint. Look up into the chimney from inside your fireplace using a bright flashlight. Look for build-up, bird’s nests or obvious cracks. Make sure that your damper doesn’t block your view and opens, closes and seals tightly. Hire a professional to remove any build-up. If your fireplace is wood-burning, stock up on firewood but store it at least 30 feet away from your home or any other structures. Seal drafty windows to keep heat in. Caulking around windows, doors, and siding is a simple, inexpensive way to save some money. Have a professional contractor check your heating system to make sure it’s in good working order before you turn it on. In case any of your heating systems are overworking, don’t forget to replace the batteries on smoke and carbon monoxide detectors. Pad your pipes to prevent loss of heat. Use insulation sleeves from your local hardware store to cover exposed pipes in unheated areas, such as a attic, crawl space and basement.